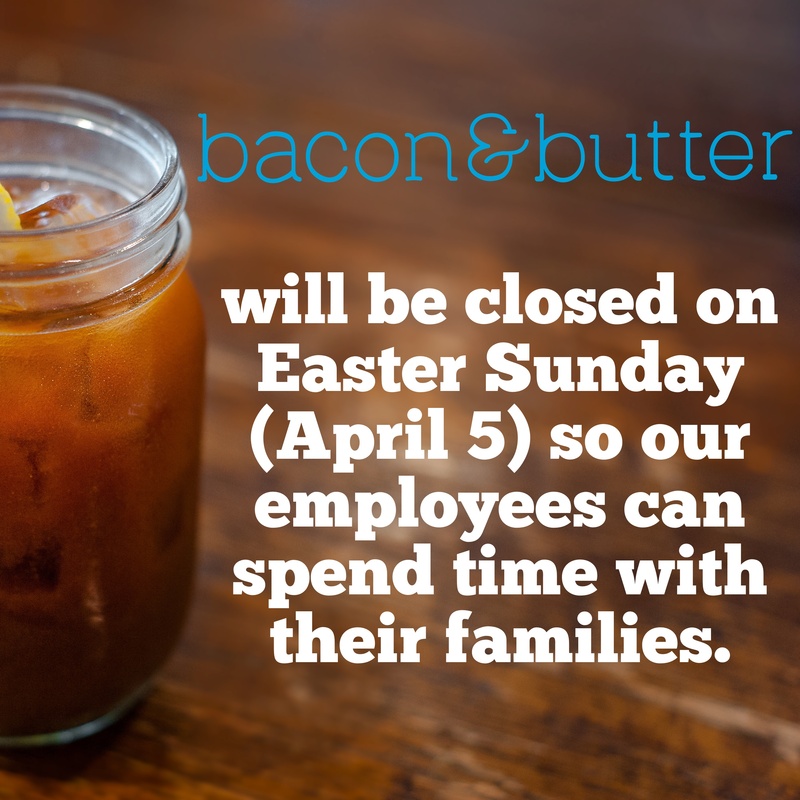 We wanted to make sure we let our customers know in advance that we will be closed this Easter Sunday (April 5, 2015). 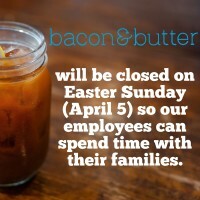 This will give our employees some much deserved time off so they can spend time with their families. These 6 months since we’ve been back open have been a beautiful blur! Thank you Sacramento for dining with us through our move to the amazing neighborhood of Tahoe Park.